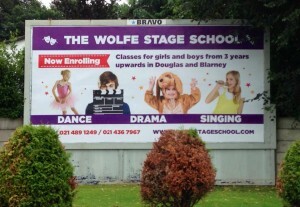 If you are around Douglas this month, make sure you check out our billboards. 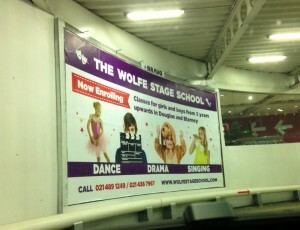 We are running a local advertising campaign as we are currently taking new students in our dance classes and drama lessons. We have 2 billboards running this year, one in Douglas Village Shopping Centre and the second in Douglas Court Shopping Centre.